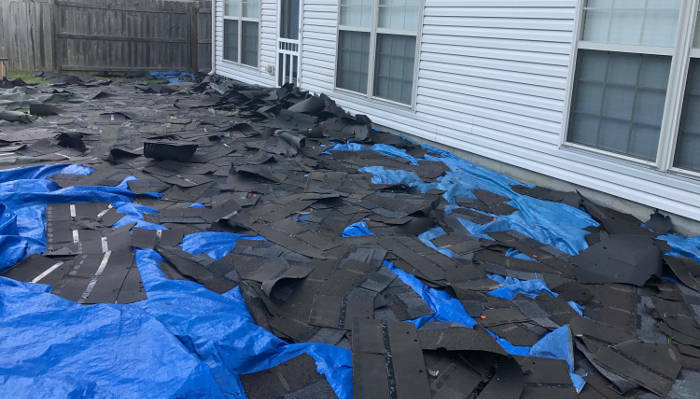 This project was a complete roof replacement and new installation we performed in Nicholasville, KY.
As always, our materials were delivered and neatly organized on site prior to beginning. 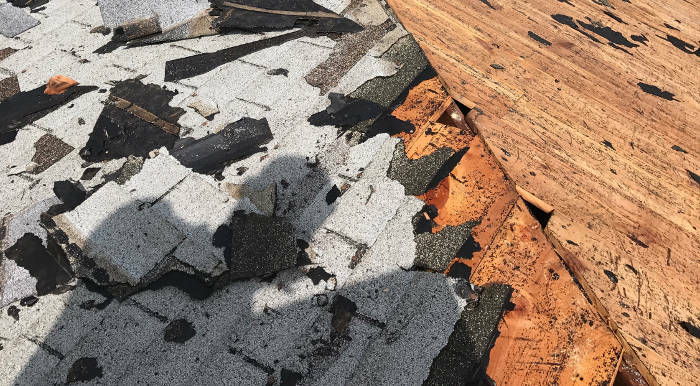 Our initial step was to remove all existing shingles and felt. We manually scraped the surface to ensure all original existing material was completely removed prior to the install. The image below shows the left side still requires felt removal, while the right side is fully prepped and ready for our installation. Note: We make sure to have a fresh clean surface to work from. This ensures your warranty meets any and all requirements for fulfillment. 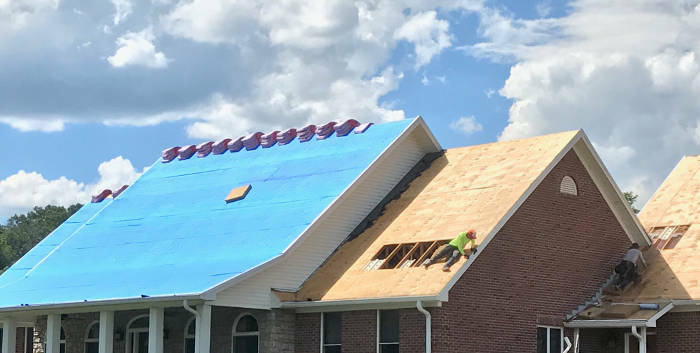 In many cases, other roofers will often roof over any existing materials, but this doesn’t meet our standards of value or quality assurance we aim to provide for our clients. 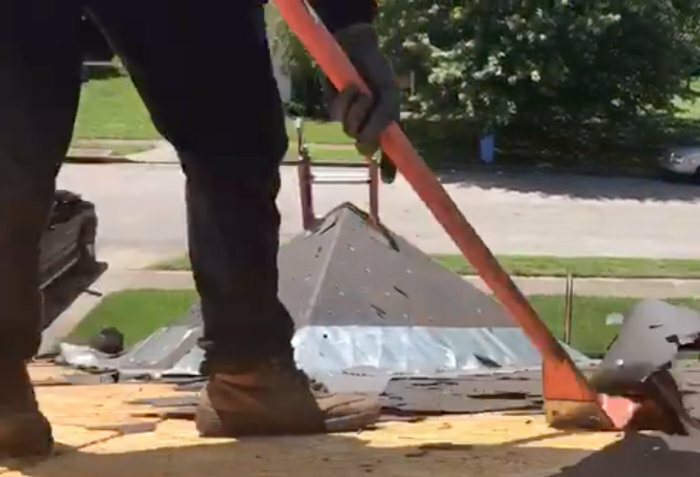 An additional step we implemented was to catch and prevent the old removed roofing material and debris from penetrating the yard during the tear off. Once our surface had been properly prepped, we started with the synthetic underlayment installation. This is the blue material you see below. 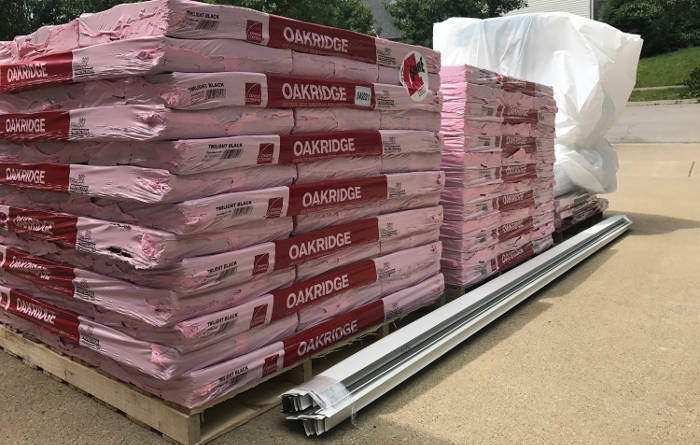 It’s a secondary measure of protection between your wood decking and the shingles. Along the way we noticed a few sections of wood decking that needed replacing. After the roof install was complete, we made sure our clean up procedures were thoroughly performed. 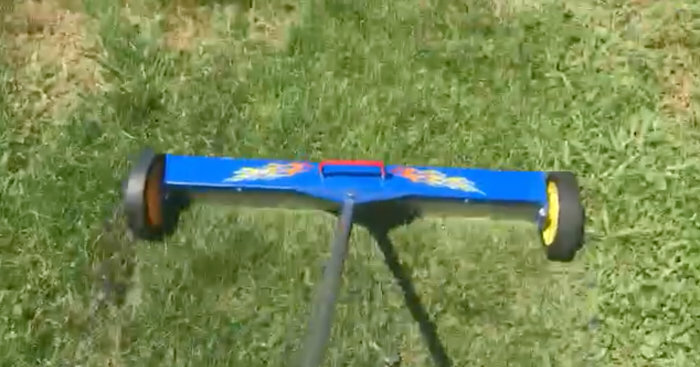 One of these procedures included our magnetic yard rake. 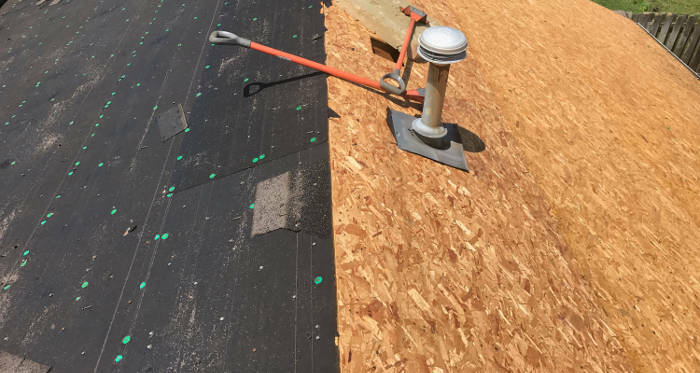 The device you see in the below image has a commercial grade magnet designed to pick up metals such as possible roofing nails and fasteners from the yard. Although we take other preventative steps to keep your property debris free, this is just another assurance. Here’s our completion image of this project. 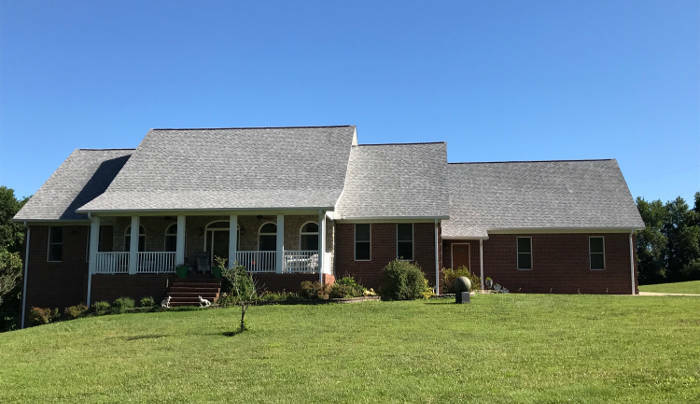 If your home in Nicholasville needs a small repair or a complete shingle replacement, you can trust Lexington Blue for a quality experience.